三種模式下脂肪減少程度。Boutcher, S. H. (2010). High-intensity intermittent exercise and fat loss. Journal of obesity, 2011. 三種模式下腹部脂肪減少程度。Boutcher, S. H. (2010). High-intensity intermittent exercise and fat loss. Journal of obesity, 2011. 表3，不同運動強度對脂肪的影響程度。Vissers, D., Hens, W., Taeymans, J., Baeyens, J. P., Poortmans, J., & Van Gaal, L. (2013). 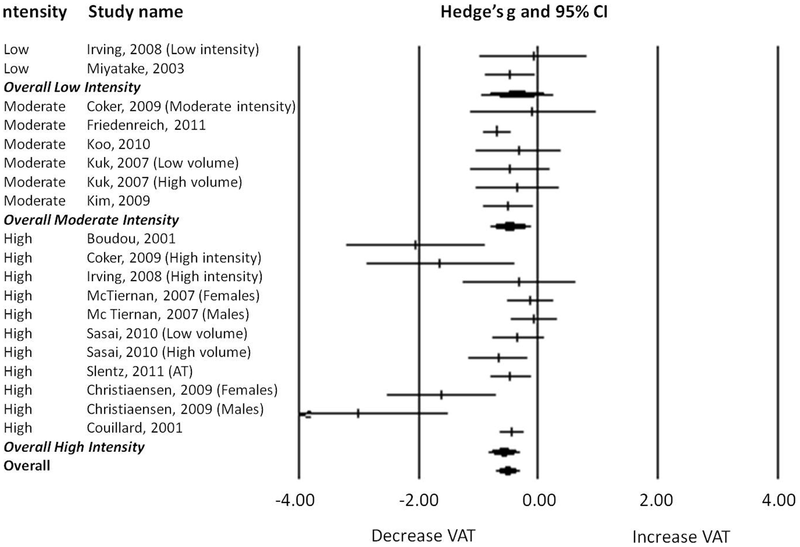 The effect of exercise on visceral adipose tissue in overweight adults: a systematic review and meta-analysis. PloS one, 8(2), e56415. Romijn, J. A., Klein, S., Coyle, E. F., Sidossis, L. S., & Wolfe, R. R. (1993). 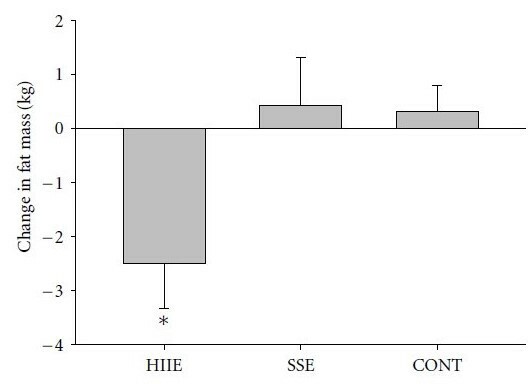 Strenuous endurance training increases lipolysis and triglyceride-fatty acid cycling at rest. Journal of Applied Physiology, 75(1), 108–113. Vissers, D., Hens, W., Taeymans, J., Baeyens, J. P., Poortmans, J., & Van Gaal, L. (2013). The effect of exercise on visceral adipose tissue in overweight adults: a systematic review and meta-analysis. PloS one, 8(2), e56415. Melanson, E. L., Sharp, T. A., Seagle, H. M., Horton, T. J., Donahoo, W. T., Grunwald, G. K., … & Hill, J. O. (2002). 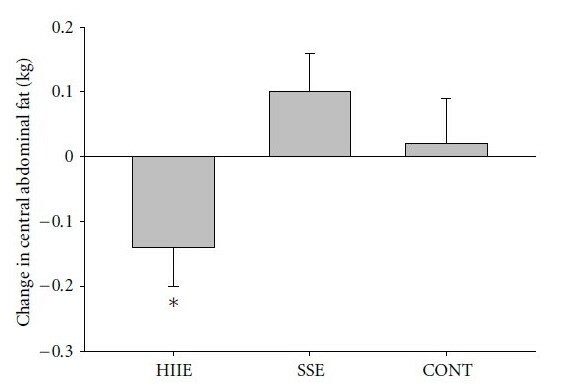 Effect of exercise intensity on 24-h energy expenditure and nutrient oxidation. Journal of applied physiology, 92(3), 1045–1052. Boutcher, S. H. (2010). High-intensity intermittent exercise and fat loss. Journal of obesity, 2011. Franklin, B. A., & Swain, D. P. (2003). New insights on the threshold intensity for improving cardiorespiratory fitness. Preventive cardiology, 6(3), 118–121. Karvonen, M. J. (1957). The effects of training on heart rate: a longitudinal study. Ann Med Exp Biol Fenn, 35, 307–315.